Plot: While on a grand world tour, The Muppets find themselves wrapped into an European jewel-heist caper headed by a Kermit the Frog look-alike and his dastardly sidekick. Rating: PG for some mild action. The Muppets are back, not with a resounding bang of a ceremonial drum, but with a likable tune of fun and joy. 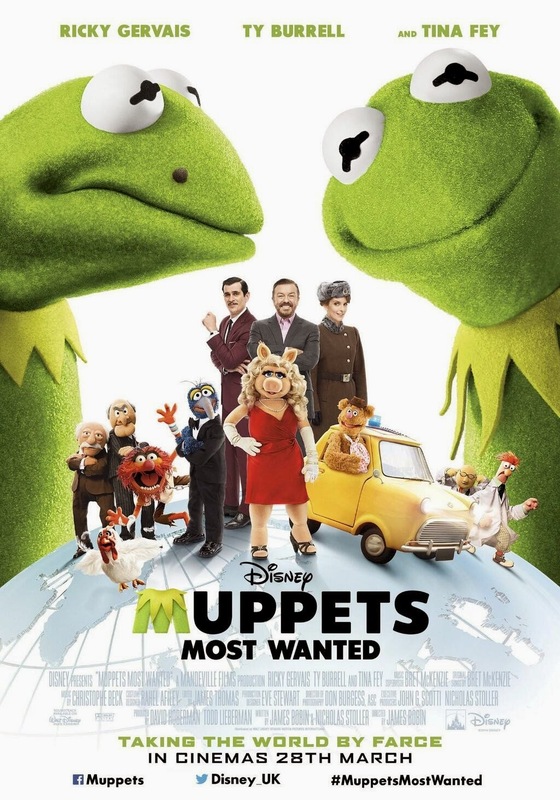 Directed by James Bobin, who made the earlier The Muppets (2011), the sequel Muppets Most Wanted is a good, satisfying time at the theaters with your family and friends. 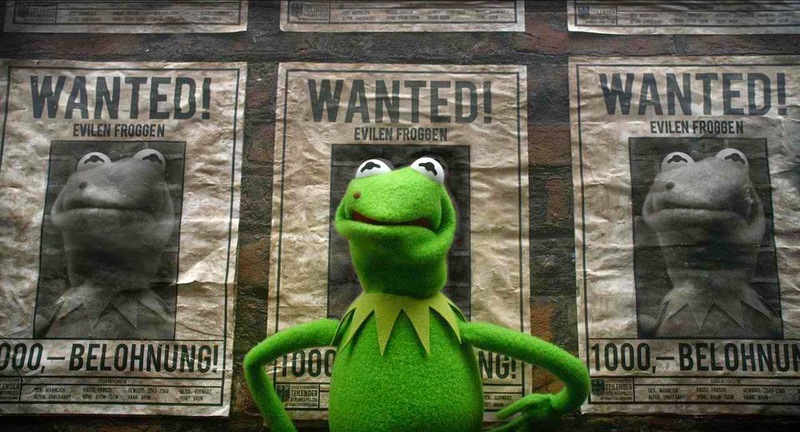 Kermit is framed by Constantine, the world's most dangerous frog and an escaped convict. They look alike, except for a De Niro-esque mole on the right cheek and a weird accent that are as dead a giveaway as any. Kermit is sent to a maximum security prison in Siberia, while the bad frog takes the crew on a world tour to Berlin, Madrid and Dublin with the ulterior motive to steal priceless treasure. Of course in the world of The Muppets, the characters are permitted to be aloof, so any quick discovery of the evil plot is out of the question. It is also fun to see how the movie plays out, even if it is wholly predictable. There are extremely lame jokes, and songs-and-dances to savour, though they are more cheesy than cringing. This is because it is already obligatory to accept nearly every moment of a Muppets movie as cringe-worthy, and hence we sort of replace it with a feeling of wanting to be lame-tertained, or as I call it, an anticipatory sense of desiring cheddar. In this case, the cheese is mostly fresh. Celebrities also make cameos – some are laugh-out-loud moments, others are more meh. All are part of the fun, depending if you can recognize them and make the connection. I must admit I struggled a bit in this department. Muppets Most Wanted is well-paced, loud, vibrant and generally emits good vibes. 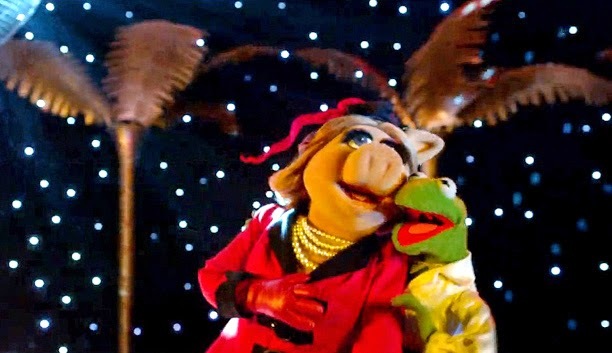 While it doesn't quite develop its lead characters Kermit and Miss Piggy in ways that great sequels do, it certainly has done enough to warrant a third film, which I will gladly watch. With these two movies, the legacy of The Muppets is somewhat secured for newer audiences like myself, while older moviegoers can rejoice over the good times they had with their loved ones. As they say, The Muppets don't age. Only you do, if you wish to. Verdict: Predictable but fun, and yes, ideal for a family outing at the movies.